Animals and humans have been companions for centuries. Indian art is nearly 5000 years old and in so many thousand years, Indian artists have depicted animals, birds and insects in many imaginative ways. Animals are sometimes shown as friends sometimes inspiring humans with their good deeds and sometimes displaying heroic acts. In many ancient cultures animals have become great companions of Gods and Goddesses as they ride on them. 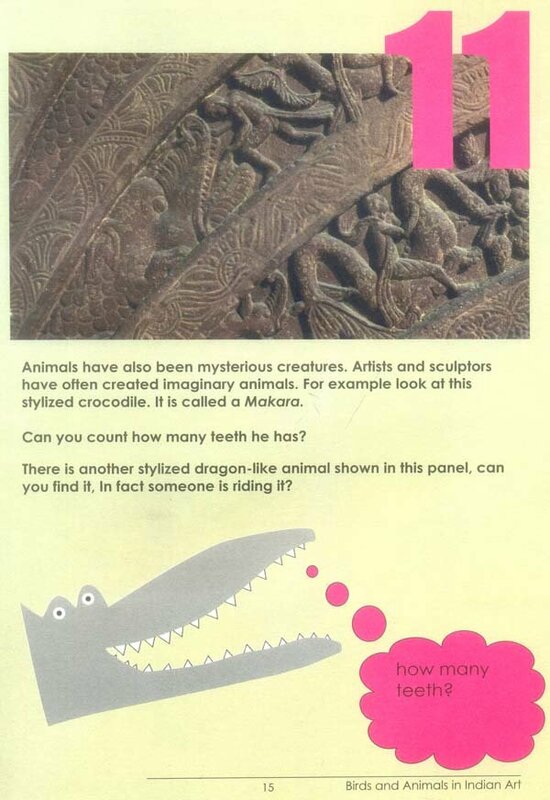 In this book you are about to discover some beautiful sculptures in stone which will show you how different types of birds, animals and beasts have found place in Indian art. This is an activity book. You can read this book when you get back home but before that you need to go through 7 galleries on the ground floor of National Museum to spot these beautiful animals and birds and discover more about them. Remember to go with your parents or friends so that you do not get lost. In every gallery there are seats and benches where you can rest when you feel fired but do try to finish the trail before you go home.